without need for external power. LCD-H20 is designed for in-head mounting in a sensor connection head with glass window. 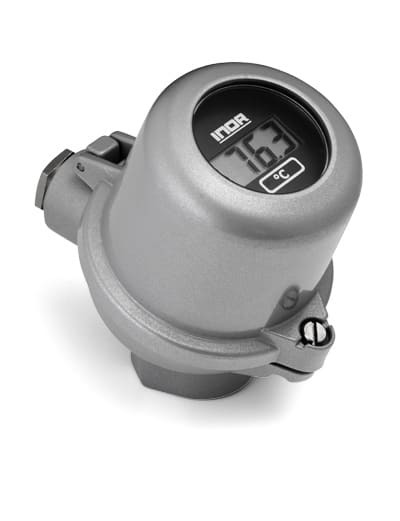 The indicator is equipped with high-contrast, easy-to-read LCD digits. The scale is easily programmable, without reference signal, by three pushbuttons for any values between -1999 and 9999. As an option, LCD-H20 can be delivered mounted in a connection head.